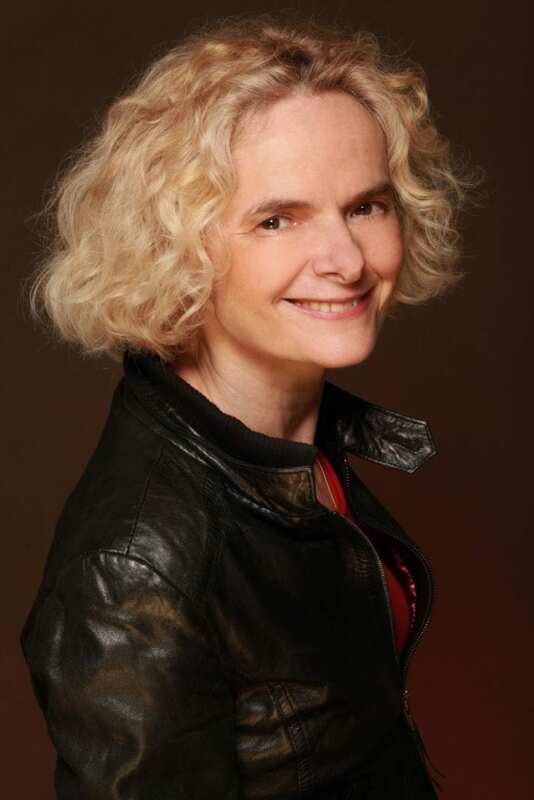 WASHINGTON (November 13, 2018) — Georgetown University Medical Center (GUMC) will present Nora Volkow, MD, director of the National Institute on Drug Abuse, a part of the National Institutes of Health, with its highest honor, the Cura Personalis Award, at a ceremony on Tuesday, Nov. 13 at 4:00 p.m.
"The tradition of bestowing of the Cura Personalis Award is a highlight of our annual GUMC Convocation as we recognize a health professional who has made outstanding contributions to human health guided by compassion and service," says Edward B. Healton, MD, MPH, Executive Vice President for Health Sciences at Georgetown University. The Catholic, Jesuit principle of cura personalis means care of the whole person. It suggests individualized attention to the needs of others, distinct respect for unique circumstances and concerns, and an appropriate appreciation for singular gifts and insights. "This is our founding principle and one that has been embraced by Dr. Volkow-demonstrated through her professional role as an institute director and through her addiction research," Healton adds. For more than 15 years, Volkow has led the NIDA's research effort to address the health aspects of drug abuse and addiction. Volkow's own work has been instrumental in demonstrating that drug addiction is a disease of the human brain. As a research psychiatrist and scientist, Volkow pioneered the use of brain imaging to investigate the toxic effects and addictive properties of abusable drugs. Her studies have documented changes in the dopamine system affecting, among others, the functions of frontal brain regions involved with motivation, drive, and pleasure in addiction. She has also made important contributions to the neurobiology of obesity, ADHD, and aging. Volkow earned her medical degree from the National University of Mexico in Mexico City. Her completed her psychiatric residency with distinction at New York University. Before assuming her responsibilities at NIDA, she spent most of her professional career at the Department of Energy's Brookhaven National Laboratory in New York, where she held several leadership positions including Director of Nuclear Medicine, Chairman of the Medical Department, and Associate Director for Life Sciences. In addition, Volkow was a Professor in the Department of Psychiatry and Associate Dean of the Medical School at the State University of New York-Stony Brook. Volkow is a member of the National Academy of Sciences. She has received the International Prize from the French Institute of Health and Medical Research for her pioneering work in brain imaging and addiction science, and was awarded the Carnegie Prize in Mind and Brain Sciences from Carnegie Mellon University. Volkow will receive the Cura Personalis medal during the 11th Annual GUMC Convocation on Tuesday, Nov. 13th during the awards ceremony which begins at 4:00 p.m. Earlier in the day, beginning at 10:00 a.m., Volkow will join the Convocation Colloquium to explore issues of addiction and the opioid crisis. Both activities are held in the Research Building auditorium on the GUMC campus. Georgetown University Medical Center (GUMC) is an internationally recognized academic medical center with a three-part mission of research, teaching and patient care (through MedStar Health). GUMC's mission is carried out with a strong emphasis on public service and a dedication to the Catholic, Jesuit principle of cura personalis — or "care of the whole person." The Medical Center includes the School of Medicine and the School of Nursing & Health Studies, both nationally ranked; Georgetown Lombardi Comprehensive Cancer Center, designated as a comprehensive cancer center by the National Cancer Institute; and the Biomedical Graduate Research Organization, which accounts for the majority of externally funded research at GUMC including a Clinical and Translational Science Award from the National Institutes of Health. Connect with GUMC on Facebook (Facebook.com/GUMCUpdate), Twitter (@gumedcenter) and Instagram (@GeorgetownMedicine).